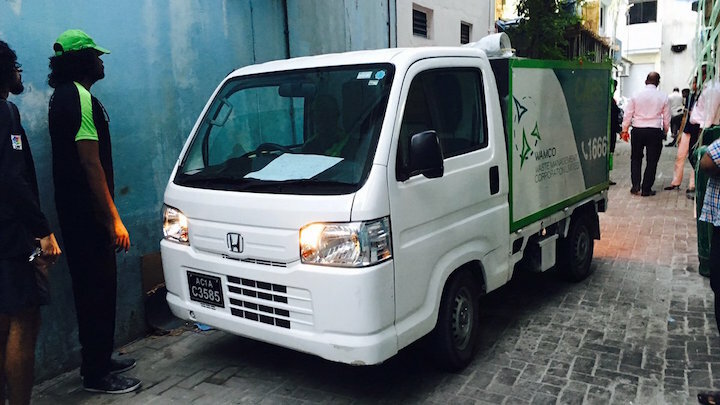 The state-owned Waste Management Corporation began collecting garbage from households in Malé this week as part of a broader effort to establish a waste management network in the capital. 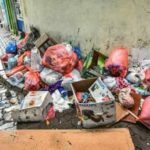 The state-owned Waste Management Corporation began collecting garbage from households in Malé on Sunday as part of a broader effort to establish a waste management network in the densely populated capital island. Under the pilot phase of the project, WAMCO divided Malé into 13 zones and began collecting garbage as a test run from 51 households that registered for the service in zone one, part of the Henveiru ward’s southeastern corner. 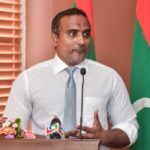 WAMCO Managing Director Ibrahim Fuad told the press on Monday that the service will be expanded to cover all 13 zones of Malé during the next six months. 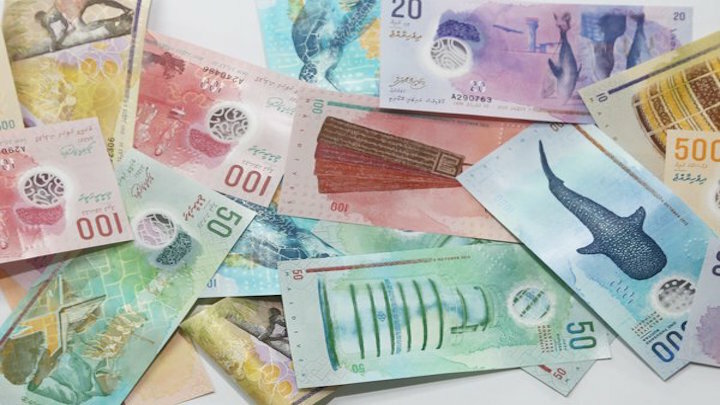 WAMCO is charging a fee of MVR150 (US$10) per month for collection from apartments and MVR100 (US$6) for collection from bins kept outside buildings. 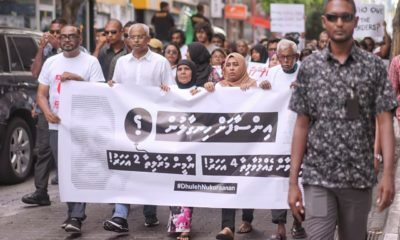 A survey conducted in April found that a majority of household waste in Malé is collected by dozens of expatriate workers, each of whom carries waste for an average of ten households every day. Garbage collectors use overloaded bicycles to transport waste to boats at the Malé harbour during the evening. 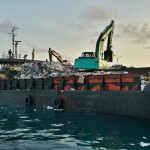 The garbage is then transported to the nearby industrial island Thilafushi and used as landfill or burnt. Last week, WAMCO relocated its waste collection facility to a site on the newly-reclaimed ‘industrial village’ in the southwestern harbour of Malé. The government has pledged to build a state-of-the-art waste collection centre on the reclaimed land by 2018. 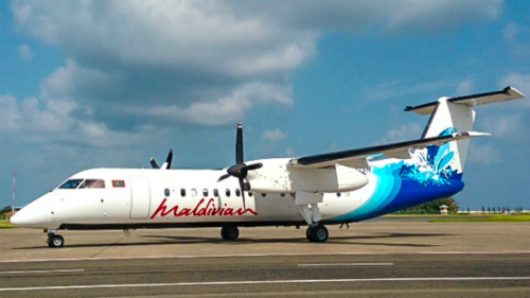 The government’s waste management corporation – which was formed in late 2015 to take over waste collection in Malé – previously rented four dhonis to transport waste to Thilafushi but has now started using landing crafts at the industrial village’s wasteyard harbour. 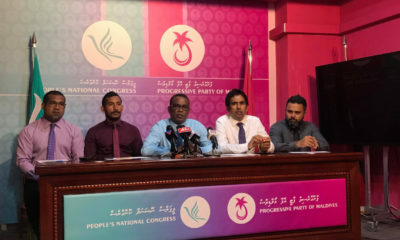 WAMCO MD Fuad told reporters yesterday that the company will save MVR1.2 million (US$77,800) a month now that it has stopped renting the boats. 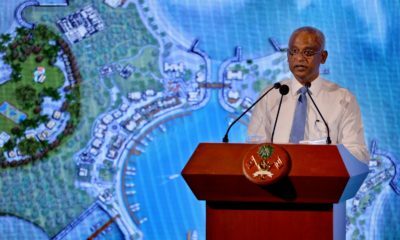 Tricycles and compact vehicles to be used for garbage collection are being shipped to the Maldives, he said, adding that an Indian company has been contracted to build three landing crafts. Fuad said the company is also recycling paper and plastic products. WAMCO has been working with the education ministry to collect discarded paper and garbage from schools every Thursday, he added. “In November we shipped 26.2 tons of books for recycling and [on Sunday] we shipped another 26.8 tons of books for recycling,” he said. 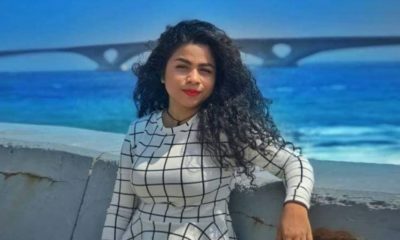 He urged households, restaurants and cafés to separate plastic bottles from other waste as recycling would substantially reduce the amount of garbage incinerated in Thilafushi. 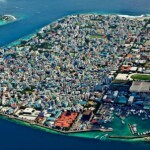 More than 200,000 tonnes of industrial and domestic waste were sent to Thilafushi in 2013. 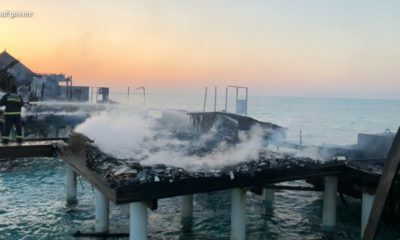 Environmental campaign groups have previously highlighted the risks to workers from toxic fumes and the contamination of surrounding lagoons by floating garbage. 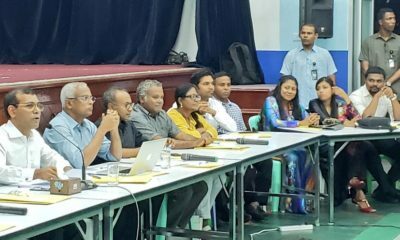 On Tuesday, the environment ministry signed a contract to prepare engineering designs and conduct feasibility studies for an integrated solid waste management centre in Thilafushi. The feasibility study and engineering design will be carried out by Maldives-based Water Solutions Pvt Ltd and German firm Cox Consults. 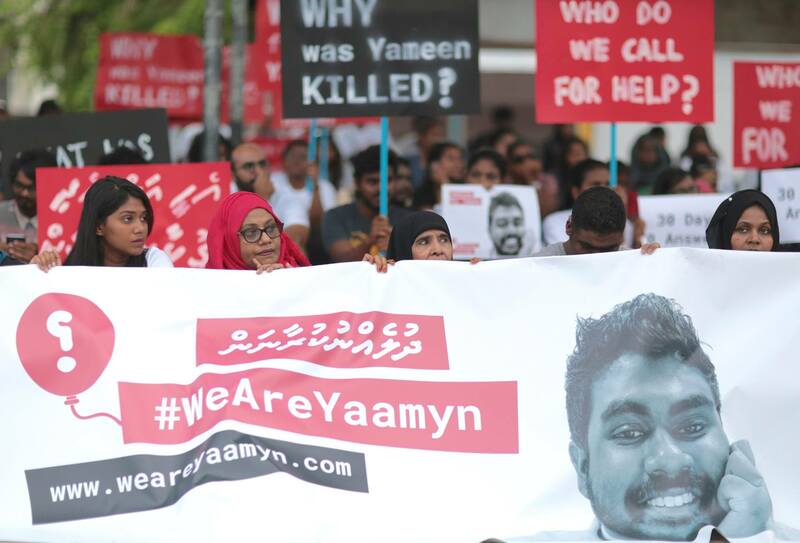 The MVR5.1 million (US$330,700) project is to be completed in eight months. 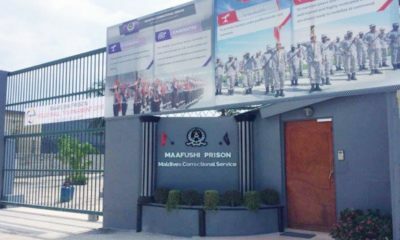 The 2017 budget includes US$100 million earmarked to build the waste management centre for the Greater Malé region as well as Kaafu, Alif Alif and Vaavu atolls. 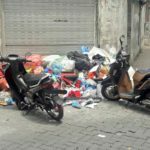 The authorities have long struggled to keep the streets of Malé free of litter and dumped garbage bags. 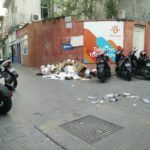 In early 2014, the city council set up public dustbins and employed 260 people to clean up the densely-packed island, but the collection and dumping of household waste remain a longstanding challenge. 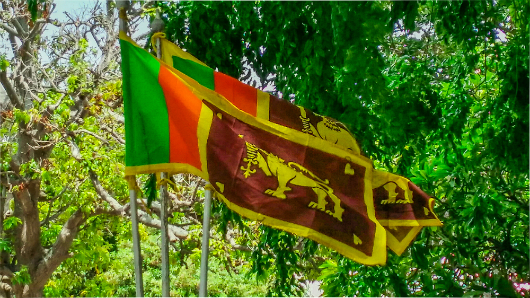 The former Maldivian Democratic Party-led government had signed a contract with India-based Tatva Global Renewable Energy in 2011 to provide waste management services in the Malé region, including establishing a system to generate power from recycling waste. 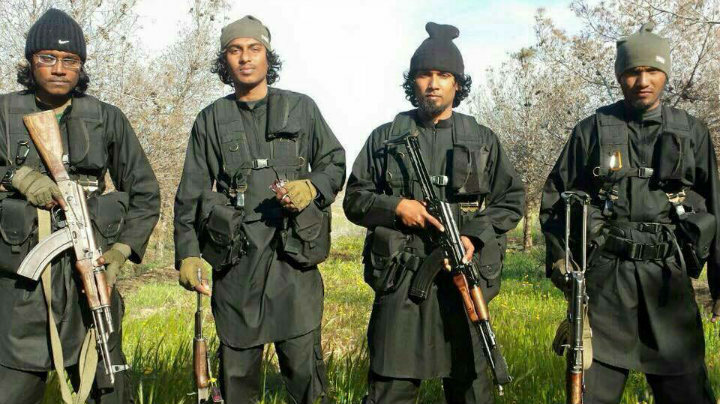 The current administration, however, cancelled the deal in late 2014, having previously sought to renegotiate it on “more mutually beneficial” terms.